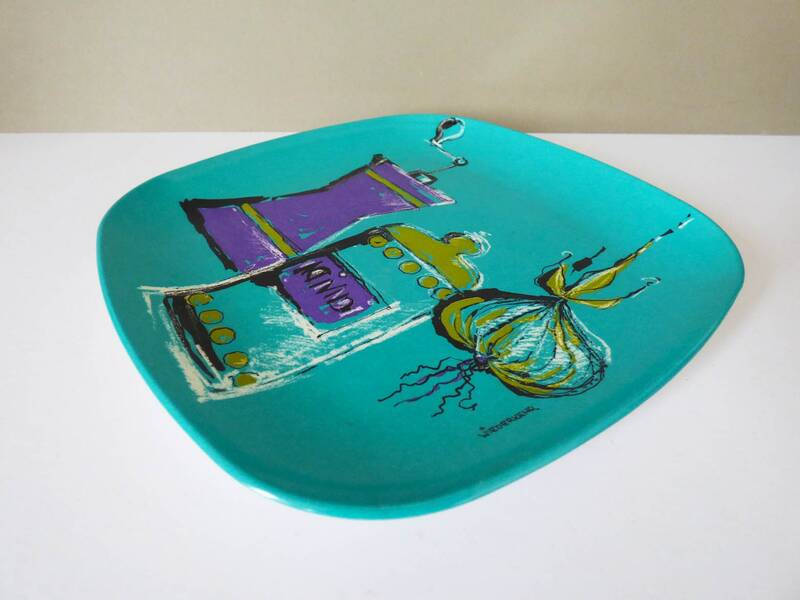 A Total classic, Ornamin melamine plate designed by Wiederkehr, Made in Finland in the late 1960s. 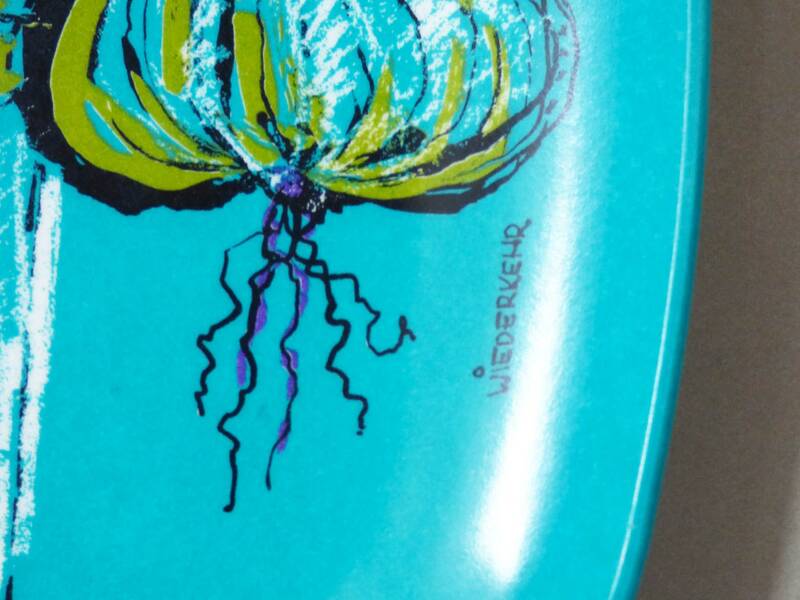 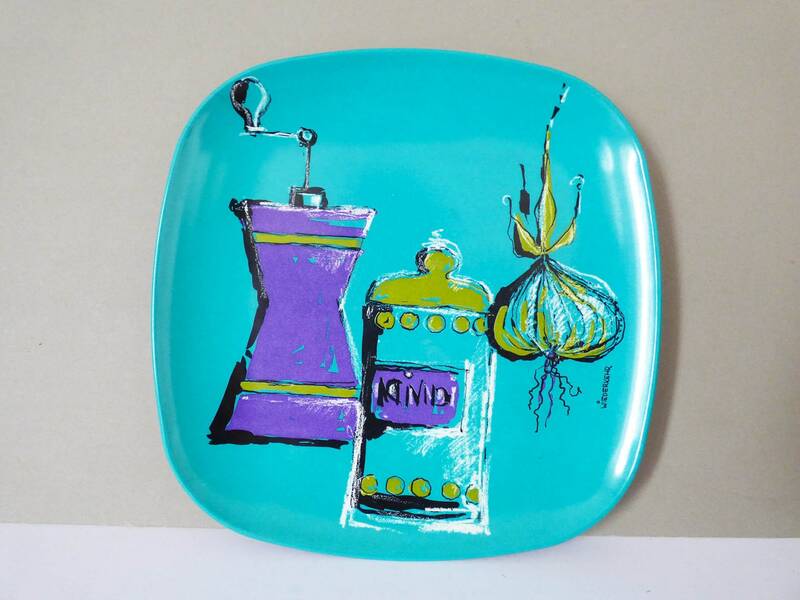 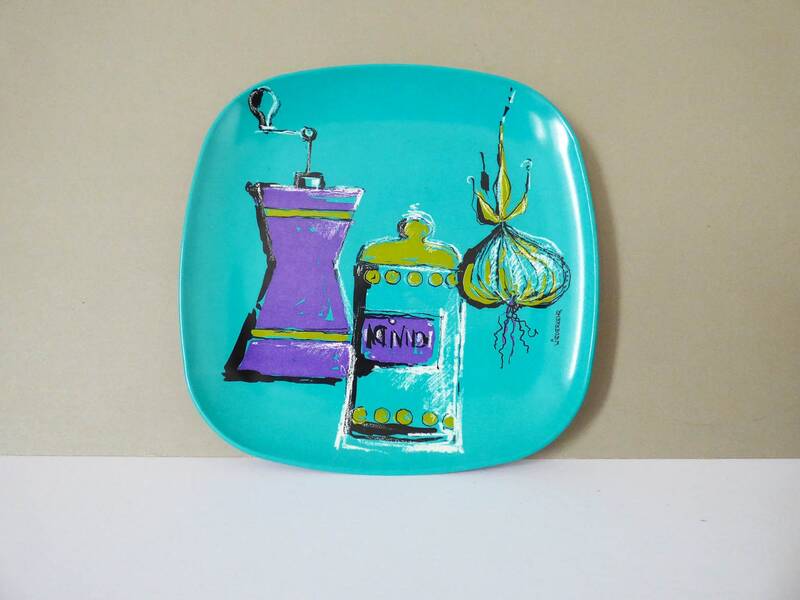 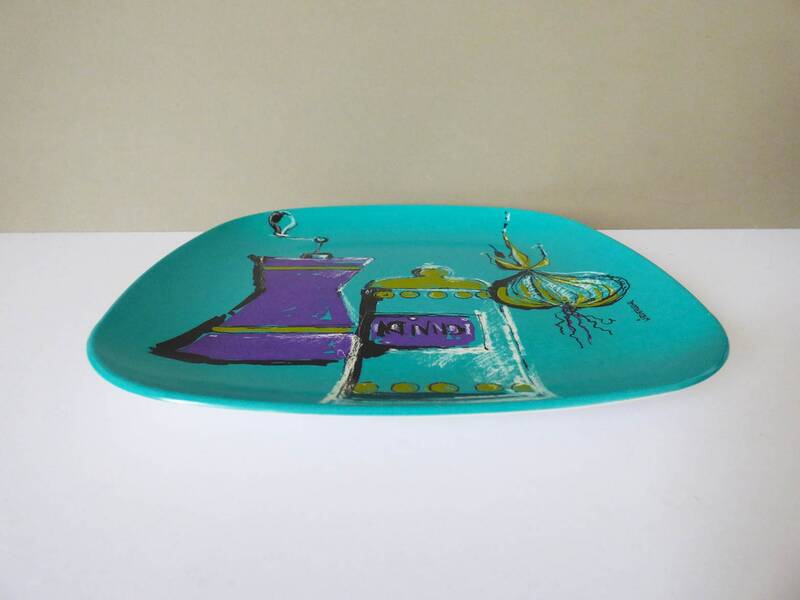 Although designed by Wiederkehr, these wonderful Ornamin melamine plates are often referred to as Bessemer or vogue plates, as many were sold in the 1960's in Australia as barbeque plates. 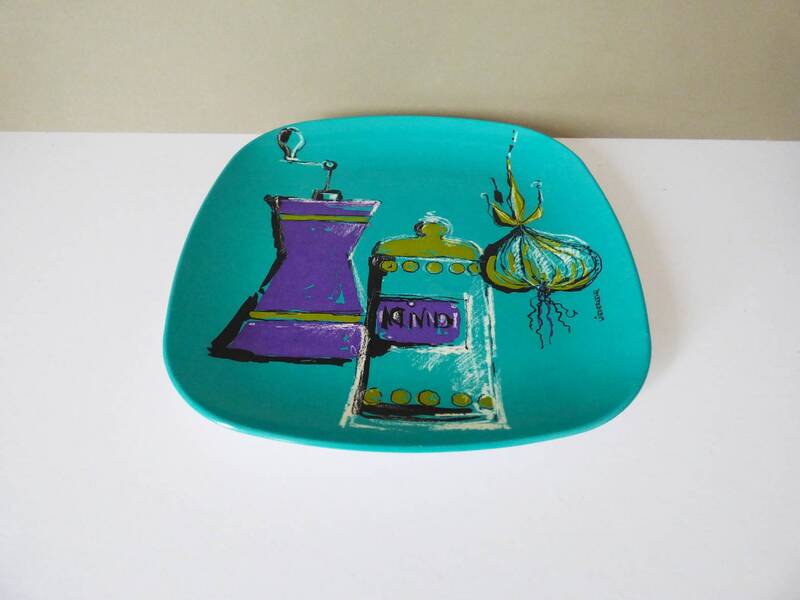 There are six plates in the series, this one depicts a salt and pepper pot bulb of garlic, and is signed Wiederkehr in the print. 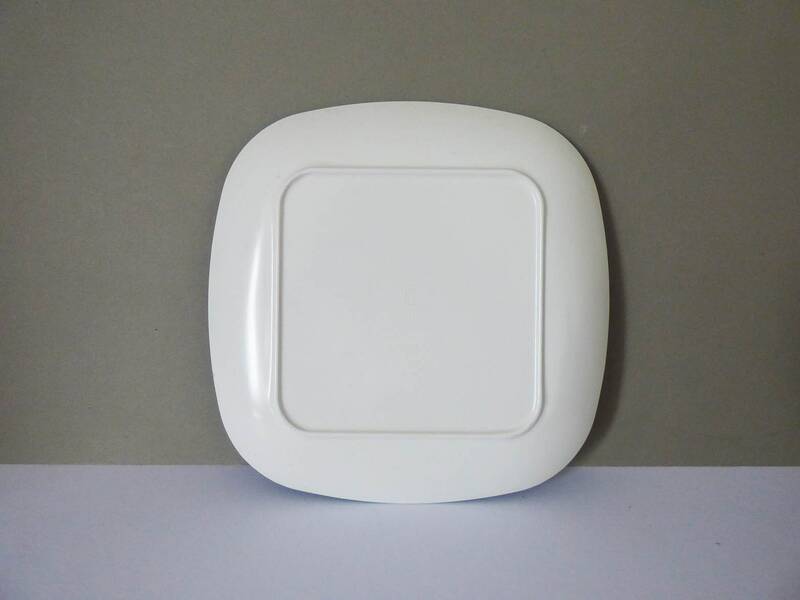 The plate measures 20cm x 20cm, and appears to be only lightly used making it perfect as a wall decoration, the colors are stunning and rich.